A Democratic congresswoman said she helped some migrants into the United States over the weekend. 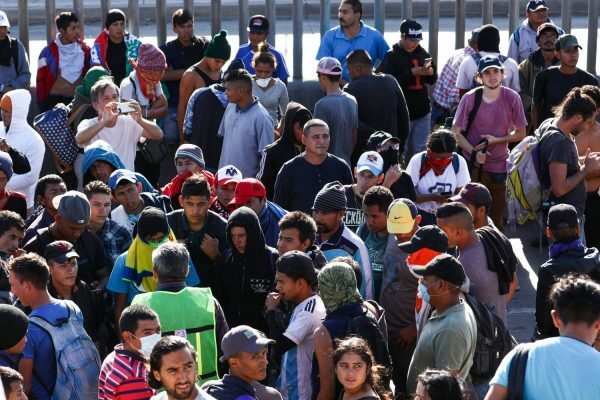 The pronouncement came as some of the migrant caravan, which is overwhelmingly composed of fighting age males, was moved out of Tijuana to a city further away from the border. 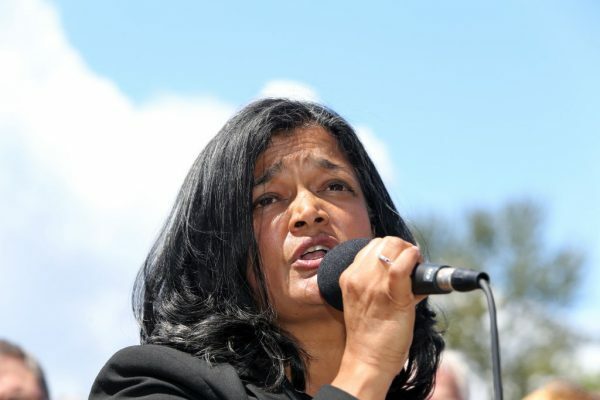 Rep. Pramila Jayapal (D-Wash.) said she helped five migrants enter the United States. She said two were so-called unaccompanied minors—or people who say they are under the age of 18 and aren’t traveling with either of their parents, one was a young man “with a serious medical condition,” and two were a mother and her 9-year-old child. It’s not clear how exactly she got the migrants into the country but she said that they were initially denied entry. “I was able to intervene and ensure that they could simply present themselves for asylum in the United States,” she said on Twitter. Around 90 percent of migrants who try to claim asylum in the United States are ultimately rejected because they often don’t meet the requirements for asylum. A skyrocketing number of claims has led to a huge backlog in federal courts as migrants are instructed by coyotes (smugglers), lawyers, and others to apply even if they obviously don’t meet the criteria. Jayapal said she was assisted by NGO Al Otro Lado (To the other side), which has been going into migrant camps to give advice, according to The Epoch Times. The organization’s litigation director, Erika Pinheiro, told migrants in Tijuana on Nov. 19, that even migrants who have been deported and committed crimes could be eligible for “withholding of removal,” or a work permit. Jayapal said an interpreter with Human Rights First was also involved. Jayapal flew to the border on Nov. 30 to join the caravan, she told Politico. She claimed without evidence that President Donald Trump “created the crisis at the border,” indicating that the entire caravan should be let into the country. Federal officials have said there are hundreds of convicted criminals in the caravan, including gang members. One admitted MS-13 gang member was captured in California after illegally crossing the border. Dozens of migrants who have spoken to news agencies have admitted to being deported and some have admitted to committing crimes that prompted the deportations, including driving under the influence and attempted murder. 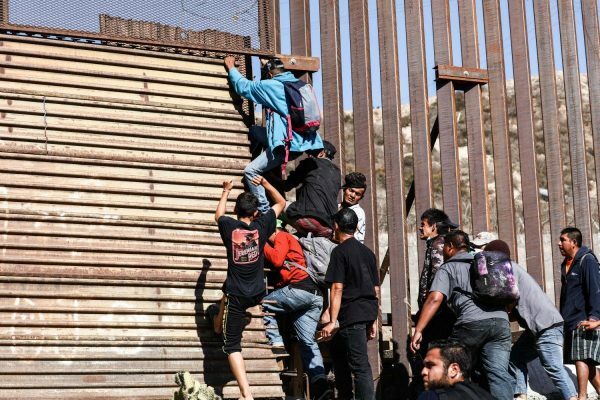 The migrant caravans were offered asylum in Mexico but the majority of the migrants refused to accept the offer and continued traveling until they reached the U.S. border. Jayapal is part of a radical group of Democrats who have gained more power and influence within the party in recent years. She has called for the abolishment of the Immigration and Customs Enforcement agency. Not all Democrats were opposed to the actions of the Trump administration at the border. Rep. Henry Cuellar (D-Texas) said he supported the U.S. Customs and Border Protection’s use of tear gas to disperse the mob of migrants who charged the border on Nov. 25. “If you start throwing rocks, and I saw them breaking through there—if you got 100 people rushing, whatever number, and you had less Border Patrol CBP officers … you are going to use tear gas. You are going to defend yourself—especially if they’re throwing rocks,” Cuellar told the conservative Daily Caller website.